September 27 2018. 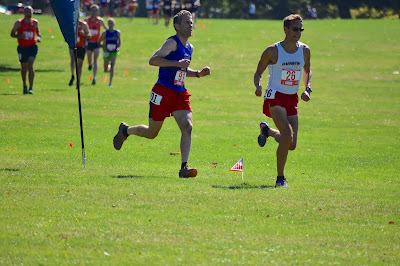 BUFFALO NEW YORK – It was a gorgeous day for watching Cross Country races on September 23rd in Delaware Park in Buffalo NY, although perhaps a little warm for running them. But one can hardly complain at temps in the mid-60’s under clear skies and with good footing on the course. 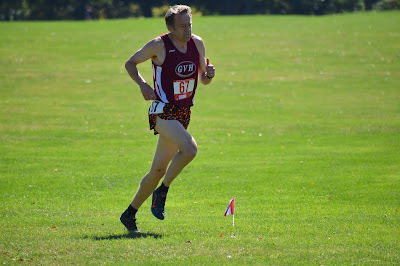 Fashionable ‘shades’ were the style statement of the day as it was definitely a singlet and shorts day. 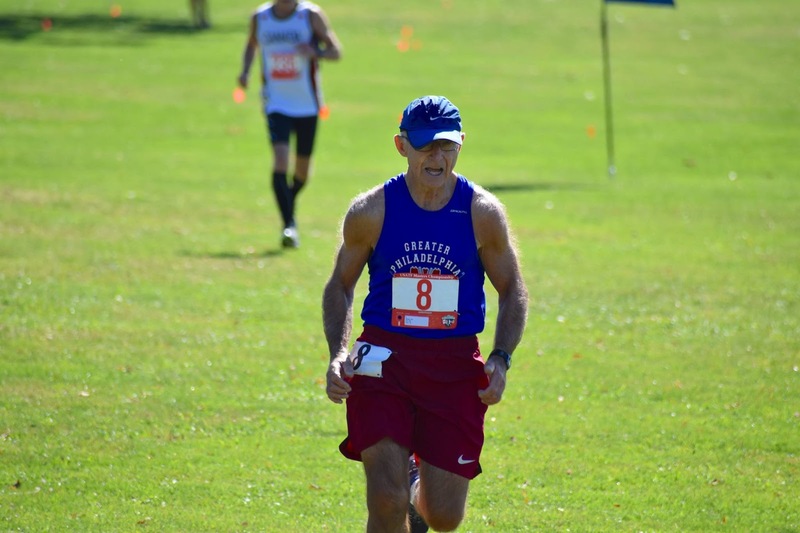 The course was a 2.5-kilometer loop around the outskirts of a golf course, grass covered and mostly flat with just a few minor elevation changes of a meter or 2 at most. Those who prefer their XC courses with lots of steep hills, mud, and other challenges would have been disappointed. 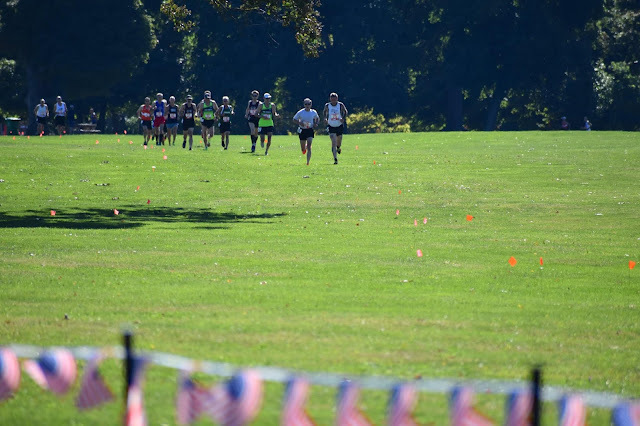 Like all Cross Country courses, times were slowed by the surface and perhaps by a course that most of the runners thought was longer than the announced 5 kilometers. 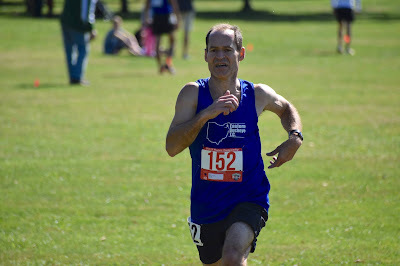 Any time difference would have been modest, probably less than a minute for most, maybe over a minute for the older age divisions. Over 200 athletes were entered. 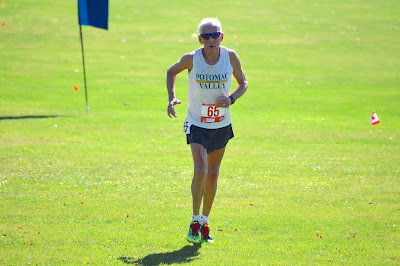 I will cover the Age Division contests in the first two races, the Men’s 60 and up and the Men’s 50 and up. The next installment will cover Women 40 and up and Men 40 and up. A final report will cover Age Grading and Teams. 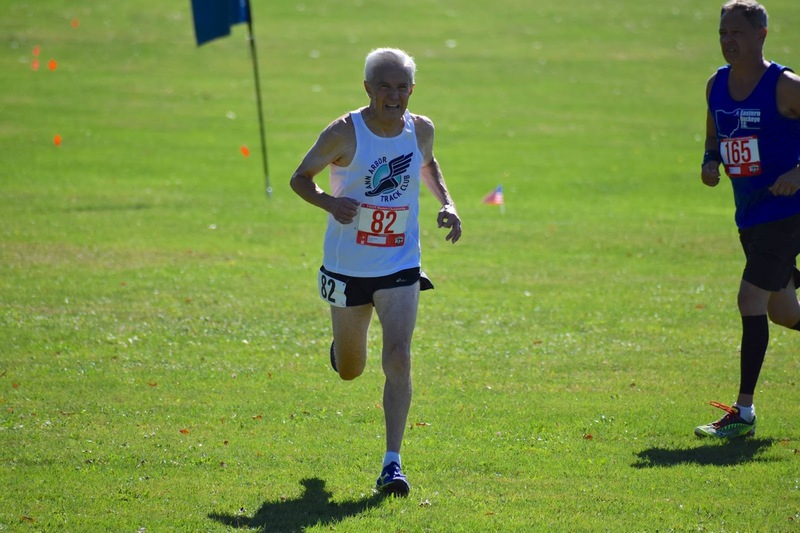 First off was the Men 60+ race at 11 AM, which included competition for 5-year age divisions 60-64 through 85-89 as well as highly competitive team races for 10-year age divisions 60+ and 70+. 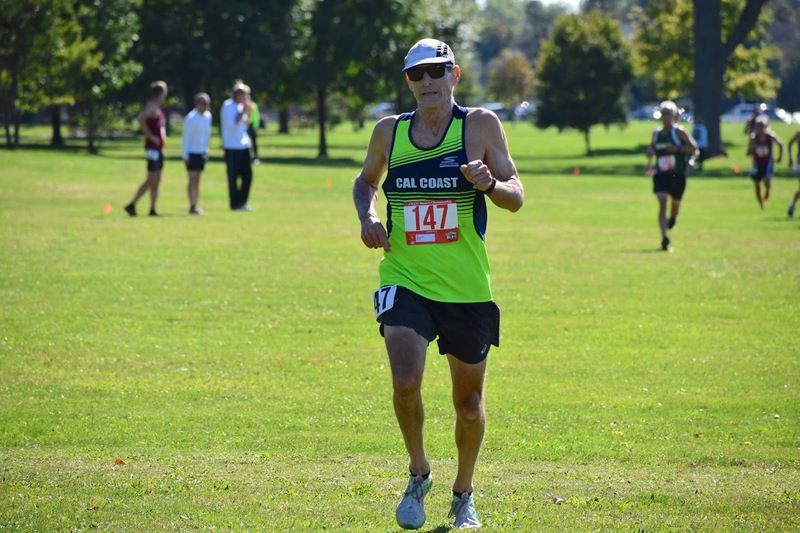 The two teammates from the Hartford Track Club, Russell Blatt and George Buchanan, took it out hard when the gun went off, showing Cal Coast’s Brian Nelson that he would have a fight on his hands. They had forged a 3-meter gap in the first 400 meters. 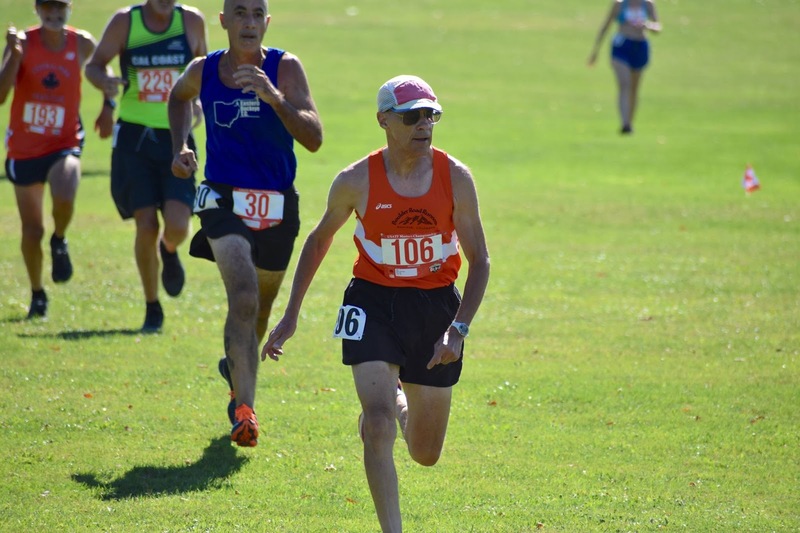 Nelson and Timothy Riccardi worked to close the gap while Bob Merritt and Nelson’s teammate, Steve Brumwell, dug hard to maintain contact just behind those first 4. 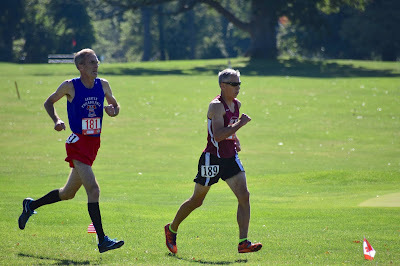 Blatt and Buchanan were able to hold it together all the way to the finish line, with Blatt pulling away from Buchanan in the 2nd lap for a 14 second advantage. 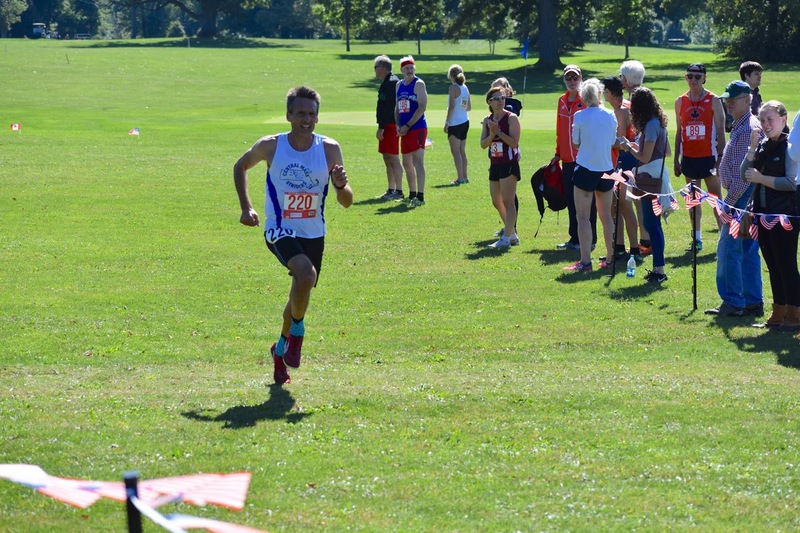 Even though he was unable to catch them, Nelson fought tough to the line in 3rd, holding off Merritt by 8 seconds. 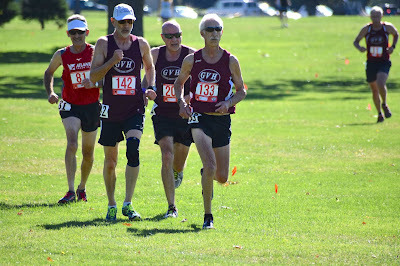 The three GVH teammates, Riccardi, Mark Rybinski, and Kevin Clinefelter, took the next 3 spots 3-5 seconds apart. claiming a 36 second margin of victory over Butch Caimano, with Hank Schiff closing fast but settling, in the end, for third place, 3 seconds back from Caimano. Don Morrison took 4th 45 seconds back. After landing on the podium in Atlanta, this was a nice step up for Gioia. 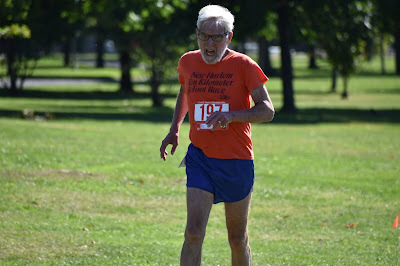 with 10 meters more to Hansen, with Jerry Learned only a step behind, and then another 20 meters back to Jim May and Glass. Dykes pulled away over the 2nd loop, enjoying a final victory margin of almost a minute. McCluskey kept his lead over Katz, stretching it in the end to a half minute gap at the finish line. A half minute later Hansen, Learned and Glass all finished in a 14 second interval, with May a little further back in 8th. 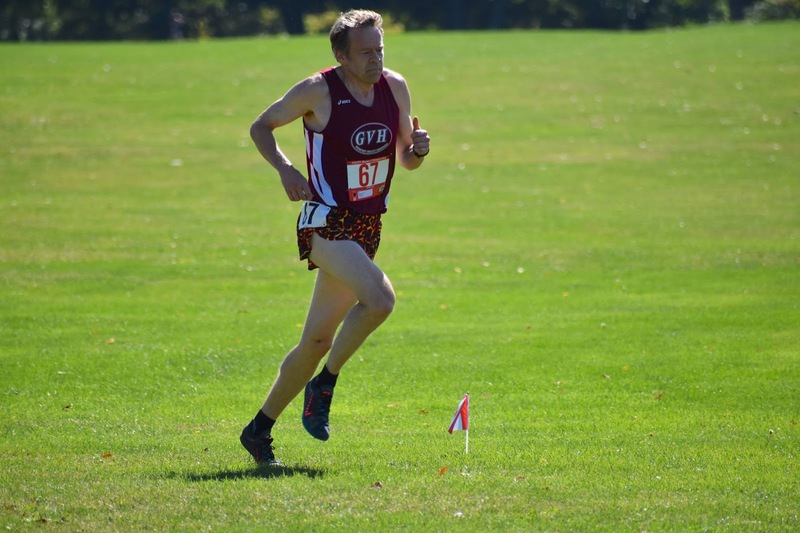 Hansen made no excuses but may have been feeling the effects of running an 8K XC race, a 5000 Meter race on the track, as well as a 10K and a Half Marathon Road Race all in the span of 10 days in Spain, ending just a week before this race. This was the 4th consecutive win for Dykes-the 10K, the Half Marathon, the 5K road, and now the 5 Km XC—quite an auspicious year for Dykes! 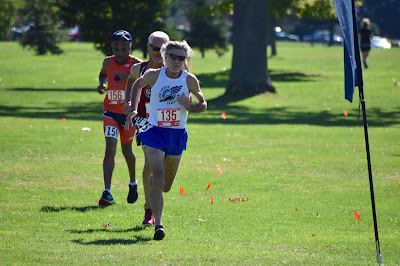 And a good start for Katz in his first race in a new age division. 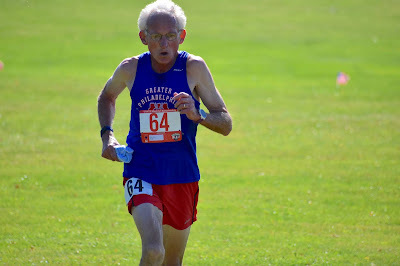 As noted above, Doug Goodhue went out hard at the front of the 70’s group, working with his teamamtes to try for the 70+ team victory. 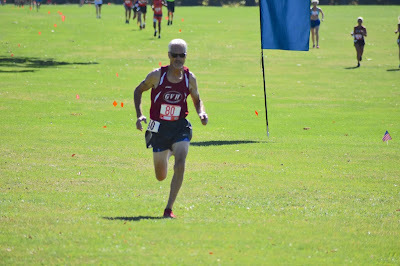 He had a huge gap on the 2nd 75+ runner by the 1-kilometer mark and stretched it from there. 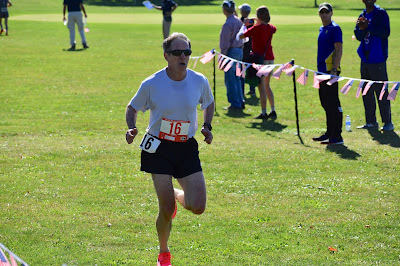 By the finish his winning margin was 4 minutes. The many-time Age Division Runner of the Year and owner of over 50 National Championships is once again in a class by himself. Jim Assal had little trouble with the rest of the field, taking 2nd by over a minute. Hal Lieberman found it a little harder to shake Ron Mastin but by the end claimed the Bronze Medal with almost half a minute to spare. 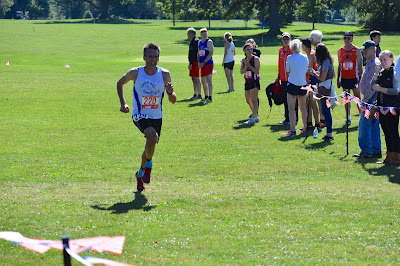 with almost a 6 minute margin over his lone rival, Joe Cordero who took the Silver medal. Hat's off to Eric Sieff, the oldest competitor on the day, who had this division to himself, and enjoyed the win in 40:34. The second race of the day was the Men’s 50+ race at 11:30 AM, including the 50-54 and 55-59 age division individual competitions as well as the hard fought 50+ team competition. followed by Jim Park and Brad Kelley. 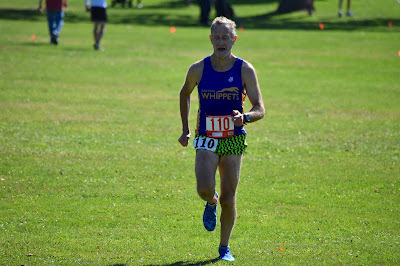 Van Orden left nothing to chance, keeping the hammer down over the 2nd loop to win with a 17 second margin. Novak had more to worry about but sprinted away from the rest of the field to claim Silver. Twelve seconds back was a 4-runner pack that broke up as Harte took Bronze with 3 seconds on Burdett, followed by Park, 3 more seconds back and finally Kelley, also another 3 seconds back. That was tight! Like Hansen in M70, Burdett made no excuses but may have still been feeling the effects of his exertions in Malaga at the WMA Championships. Carlstrom was only 7 seconds back from Mazo, who hung tough to the finish line. Those races provided a great kick-start to the day of racing. 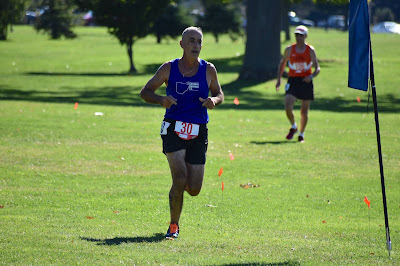 Following them, all Age Divisions of the Women ran in a single race that went off at high noon, with the Men 40+ at 12:45pm. Those last two races will be the subject of the 2nd report.